Presenting the final roundup of holiday cards in Koto this year! 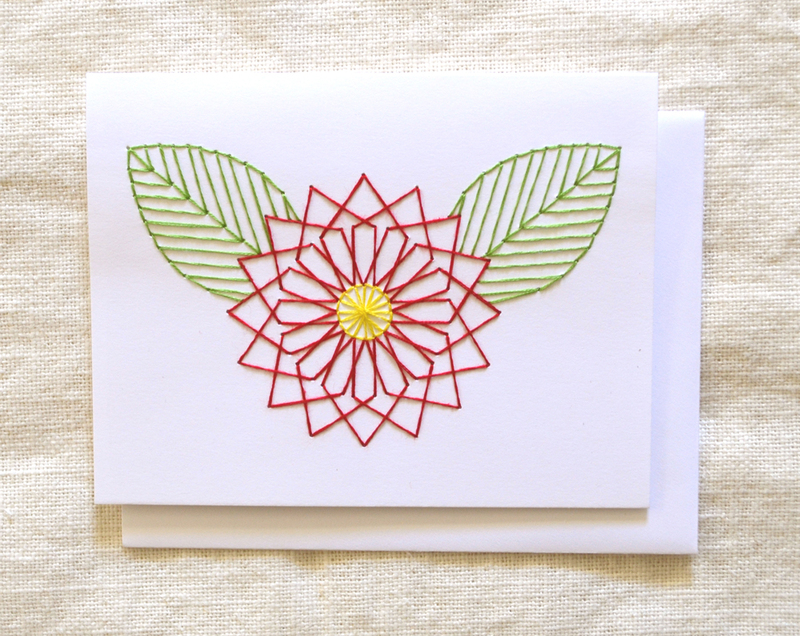 First up is a modified version of the spring flower card, a festive poinsettia. I also made some modified versions of successful cards from last year. Above, a geometric Christmas tree. Below, penguin card! Finally, I created another version of the popular stars card. I had two versions but the other sold out already! Click images for links to item listings, or see them all here.